The Ahwatukee Foothills are a wonderful place to live, but it’s also popular with pests like Scorpions. Live Scorpion and Pest FREE with the experts at Responsible Pest Control! Delivering EFFECTIVE Ahwatukee Scorpion & Pest Control with RESPONSIBLE Methods FRIENDLY to Family & Pets! We were shocked when doing some per move in cleaning when we found scorpions in the home. Armed with a black light we found lots more out sides. It was a nightmare. We called Responsible Pest Control. We saw a dramatic decrease in the amount of scorpions we were seeing in just the first couple of treatments. Now we rarely ever see any scorpions… We highly recommend Responsible Pest Control. Written by Sonia R.
Responsible’s Ahwatukee Pest Control Pro’s make your family & pets safety top priority when choosing products & applications. Providing SUPERIOR service at AFFORDABLE prices with the most EFFECTIVE products, RESPONSIBLE applications, & continuing EDUCATION. We’ll answer your questions, give courtesy CALLS, wear BOOTIES inside, SWEEP Spider WEBS, do FREE Termite Inspections, and pay attention to DETAILS! Join 1,000′s of Happy Customers living PEST FREE in Ahwatukee AZ – GUARANTEED! Pest Control in Ahwatukee MUST be EFFECTIVE on scorpions! Scorpion pressure is HEAVY in Ahwatukee and around the Foothills area! 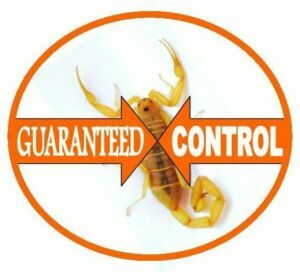 Responsible Pest Control Ahwatukee offers the BEST Scorpion Control because we’ve DONE OUR HOMEWORK! Many of our customers were told by other companies that you can’t kill or get rid of Bark Scorpions. THIS IS NOT TRUE. Our professional exterminators have spent hours collecting scorpions for Scorpion Control product testing. Our experience and results have allowed us to develop a Scorpion Pest Control Treatment that actually kills the scorpions themselves… Not ONLY the bugs they feed on ~ GUARANTEED! If you have a bug invasion for any reason between regular services, just give us a jingle and consider it done! We’ll get you on the schedule for a re-treat right away, at no extra cost to you! To get the most effective scorpion control, you need to have regular scorpion & pest control service year round. Ahwatukee scorpions and Bark Scorpions live all year long. They are very resilient, and survive the coldest temperatures our desert has. Most scorpions are solitary in nature, but Bark Scorpions are different! During the the winter Bark Scorpions will gather in groups of 20 to 30 to nest together. No one wants that in their home or yard, especially when springs rolls around! Monthly scorpion control kills scorpions in your home and yard and PREVENTS future infestations with an active barrier that does not wear off between services! Delivering EFFECTIVE Scorpion Control in Ahwatukee, Phoenix, Mesa, Gilbert, Scottsdale, Chandler, Queen Creek, Maricopa, & surrounding areas.